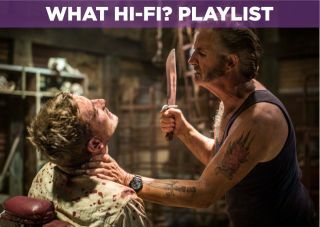 Wolf Creek 2 – Blu-ray review | What Hi-Fi? It’s been nine years since we first saw our favourite (okay, only) Crocodile Dundee serial killer, Mick Taylor, walk off into the sunset after kidnapping and killing a group of tourists in the outback’s Wolf Creek National Park. Wolf Creek (2005) is regarded as one of the scariest films to come out of Australia – having gained global cult status – and now the inevitable sequel has finally arrived. The next instalment sees the return of WC’s Greg McLean to direct – this time sharing the writing credits with Aaron Sterns – and John Jarratt in the lead as the psychotic bloody ripper. Fans of the first film might well expect the sequel to be a throwback to the original – a window into the self-professed outback legend’s next butchering spree, if you like. What we have, however, is something quite different. For Taylor is stopped early in his tracks this time round after his next easy picking, German backpacker Katarina, escapes his hold (while he’s casually chopping up her boyfriend) and is then rescued by driver-by, British tourist Paul. In an interesting and unexpected skip in the conventional plot formula, the rest plays out with a now-xenophobic Taylor pursuing the unfortunate hero in a lengthy, teasing car chase to enact revenge and continue his (seemingly new) single-minded mission: to wipe his beautiful land of all “foreign bastards”. Unfortunately for Paul - or ‘pommy’, one of several racial names spat out by Taylor – he finds himself powerless prey in Wolf Creek – and without a paddle. It’s easy to buy into Taylor’s sadistic games from the start, especially when his first targets in the film’s opening scene are truly-deserving smug cops. Along the journey there’s exploding heads, cheesy one-liners, and car stunts that wouldn’t look out of place in the Fast and Furious franchise to enjoy. But, where WC honed in on the Park’s terrifying isolation and the helplessness of being hunted and trapped in its vast and inescapable wilderness, WC2 is more a whacky, off-the-wall portrait of an indispensable, cold-hearted madman. If a chortling Taylor causing a (effectively CGI’d) kangaroo massacre scored with The Token's The Lion Sleeps Tonight isn’t a good enough example, then perhaps his murdering of an elderly woman to a Viennese Waltz is. Once again, Jarratt shines in the limelight, devouring his kookily barbaric, rifle-wielding character to a T.
The theatrical, somewhat comical, delivery is certainly entertaining, though deviates from the horror by downplaying the wickedness of his evil intentions. Are we trembling in fear at the thought of his next move? Not quite. This time round, Taylor is not something to fear, but to relish. Horror sequels taking light-hearted, uncouth directions have become ten-a-penny and, despite the film opener’s serious tone as shocking missing person statistics litter the screen, WC2 only adds to the pile – and without bringing anything new with it. Even as we get to the supposedly gruelling bit (the interrogation scene) a skittish Paul and amused Mick share jokes and have a sing-a-long. And get this: the wellbeing of Paul’s fingers are held in the balance of a quiz on Australian history as he answers under the knife. Bonkers. Be prepared to be particularly well versed with Tie Me Kangaroo Down, Sport by the end – or Taylor’s rendition of it, at least. But though it generally scores low on the scare factor, there’s enough suspense and gore to please die-hard horror fans as we finally enter Taylor’s murdering lair and the pursuit pursues (this time on foot) among a collection of mangled corpses. As the prey runs for his life, the slogging predator somehow stays close on his heels: classic jitters-inducing stuff, for 15 minutes at least. Spoilers aside, the rather uneventful finale is of the marmite kind, though the end shot is a nice homage to the first film. Taylor is still at large, and we’re only left hoping that he will finally meet his bitter end in a (rather better) Wolf Creek 3. It’s not all amusingly fitting scores (our favourite of those, though, is Patsy Cline’s I Fall to Pieces as Taylor cuts up the boyfriend limb-by-limb). Songs like Steppenwolf’s Born to be Wild are an appropriate (if not unnecessary) reminder of Down Under’s rustic environment, while the original orchestral pieces by Johnny Klimek (the Australian composer that brought us Cloud Atlas’s OST), which provide the backdrop to the majority of scenes, are eerie and ominous – arguably more so than the film itself. Its 5.1 mix makes the most of dynamic car explosions and effects; gunshots have pop, and finger dismemberment cringeworthy crunch. Needless to say, Taylor’s voice sounds suitably gruff. Apart from the vast sweeping shots of the deserted outback that make you thirsty just looking at it, the rest of the action takes place in Taylor’s dimly-lit killing dungeon. Doing well to avoid the same ill fate as some dark-pictured horror films, it’s a clear picture that never feels wanting of more detail or light. Wolf Creek was a one-off – a stylish yet brutal bloodbath chockfull of shocks – so the sequel had a lot to live up to. Perhaps its unlikely plot and change in tone was a sensible move away from expectations of one-upping the last, but the result is still one that amuses rather than terrifies, so don’t expect to be jumping out of your seat. At least you won’t spill your popcorn.